SC Gjøa youth soccer is a not for profit Brooklyn based soccer club for young people between 5 to 18 years old. 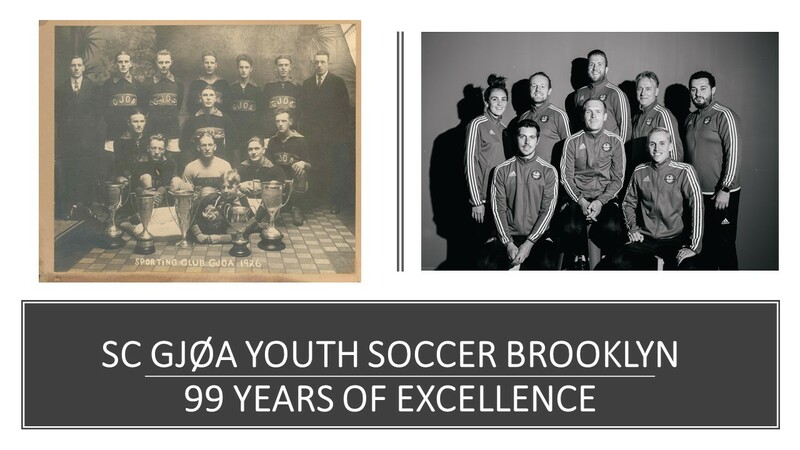 Gjøa is the oldest soccer club in New York and is proud of its Norwegian roots. Currently, the club has over 400 Players and in 2018 the youth soccer branch of Gjøa will have existed for 100 years. One of the objectives of Gjøa is to prepare players for college soccer. Gjøa’s philosophy has always been to provide soccer training to as many children as possible, regardless of their financial possibilities. Gjøa is attempting to cater for all different levels of both boys and girls (up to 18 years old) and has the following programs.